Make sure you're getting the best possible use out of your Cricut, an extremely versatile scrapbooking tool. 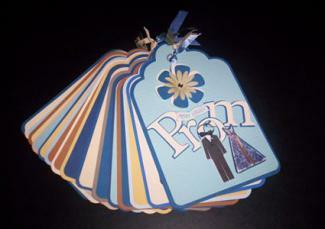 The Cricut has many uses in scrapbooking as well as general paper crafting. If you're looking for new Cricut ideas, try some of these suggestions for creative and fun projects. The Cricut is so versatile that it can be used on almost any type of scrapbook layout. It can be frustrating to get ready to make the perfect scrapbook page, only to find out that you're missing one or two of the letter stickers or rub-ons necessary to create your title. The Cricut is sure to become one of your favorite scrapbooking tools for this reason alone. Even if you only have access to the cartridge that came with your machine, you can design unique title treatments for all of your scrapbook projects. Cut two sets of letters from coordinating colors of cardstock, one slightly larger than the other. If you have leftover landscape photos or photos with lots of background detail and no real focal point, use these images to cut letters for your title. Layer the letters for a fun outlined look. Carefully ink the outer edges of the layered letters to give them some added definition. Make your letters pop by mounting them onto the page with foam adhesive. While it's true the ability to quickly and easily make custom page titles is the primary reason most scrapbookers choose to purchase a Cricut, this machine is also good for making borders as well. Mount small stickers onto circles cut with your Cricut to help visually ground them to the page. Make a border for your page by arranging several of these circles in a row. With a Cricut, you can create customized paper by layering die cuts in various sizes onto a plain black background. This is an excellent way to use up scraps of paper that would otherwise go to waste. Instead of a traditional photo mat, frame the dominant photo in your layout with a pair of brackets cut using your Cricut machine. Journaling written in a list format is an excellent way to overcome writer's block. The Cricut lets you add visual appeal to any page with a top ten list. Use your Cricut to cut out the numbers from one to ten in the font of your choice. Attach the numbers to your scrapbook layout. Use a fine-tipped acid free pen to journal one item in your list on each number. Use the shapes on your favorite Cricut cartridges to add rebus-style journaling , such as replacing the word love with a heart or the word moon with a moon shape die cut. If you're interested in using your Cricut to take your scrapbooking to the next level, consider making an entire mini album with this versatile tool. Adding a mini book to your 12x12 layout is a wonderful way to give yourself more room for photos and journaling. You can purchase mini books from any scrapbook supply store, but it's easy to make your own with the Cricut. Use your Cricut to cut out five to ten identical tag shapes. Punch holes through the top of each tag. Attach to your layout to provide extra room for photos and journaling. 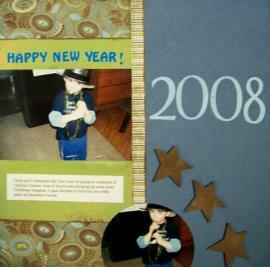 Scrapbooking with your child is an excellent way to enjoy spending quality time together. The Cricut makes it easy to create a number of projects for kids, including a simple alphabet scrapbook. Use your Cricut to cut out capital letters of the entire alphabet in the font of your choice, using various patterned paper scraps. Glue each letter to a separate sheet of cardstock. Staple the sheets together to make a book. Ask your child to think of things that begin with each letter as you work together to decorate each page. For example, the letter "A" could feature an apple sticker, a drawing of an ant, the word "awesome," and a photo of your daughter's cousin Abby. Scrapbook albums don't always have to be squares or rectangles. Use your Cricut to make shaped pages for a unique handmade album. 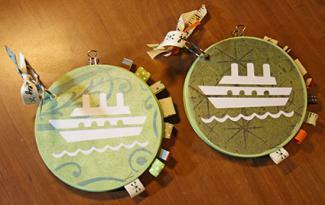 Cut several large shapes with your Cricut from heavyweight cardstock. Simple hearts, stars, or circles are the best choices for this type of album, although you can experiment with more elaborate designs if you wish. Cut two slightly larger shapes from lightweight cardboard to use as the front and back covers for your album. The cardboard from an old cereal box works well for this project. Decorate each page with a photo, journaling and related embellishments. Remember to keep the pages fairly flat, however, so the album will close easily. Choose a design for your album cover and add it. Punch holes in the corner of each shape. Reinforce each hole with an eyelet for added stability. Tie the shapes together with ribbon. If you're only using your Cricut for scrapbooking, you're missing out! This handy gadget can be useful for creating unique home decor and gifts. Instead of paying for expensive containers to store your scrapbooking supplies, consider making your own from old shoe boxes. Cover sturdy old shoe boxes with the patterned papers of your choice. Seal the boxes with decoupage medium for added durability if desired. Use your Cricut to cut out labels for each box, such as "Paints" or "Silk Flowers." Attach the Cricut labels then add buttons, charms, ribbons, or other decorations if desired. Make a special piece of framed artwork for your scrap room or create a fun layout for the title page of your family scrapbook album. Use your Cricut to cut six hearts, stars, or circles from coordinating patterned paper scraps. Use your Cricut to cut three hearts, stars, or circles from old photos. Arrange the shapes in a 3x3 grid on a 12x12 piece of cardstock. Add stickers, rub-ons, or other embellishments if desired. 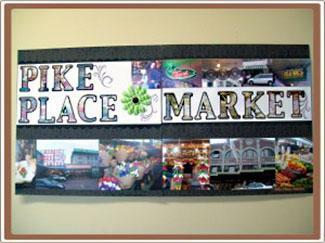 Put the finished page into a coordinating frame for displaying, or place it into a scrapbook. Your Cricut makes it easy to create a special flower bouquet for someone with a sweet tooth. Decorate a metal tin bucket or other similar container with acrylic paint, patterned paper scraps, stickers, or the embellishments of your choice. Cut several small flower shapes using the Cricut cartridge of your choice. Use a craft knife to make a small hole in the center of each flower. Insert a lollipop through the center of each flower. Arrange the sticks in a block of floral foam to make a bouquet. Add the foam to your bucket. 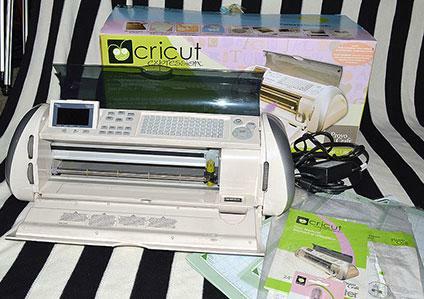 The Cricut's versatility opens up a world of possibilities for creative paper crafting. As you gain experience using the Cricut, you may find yourself brainstorming even more ways to unlock the potential of this handy crafting tool.